With a minimalist style and a bold modern design, the Chloe Side Chair offers a superb balance of simplicity and drama that instantly adds life to any office or living area. 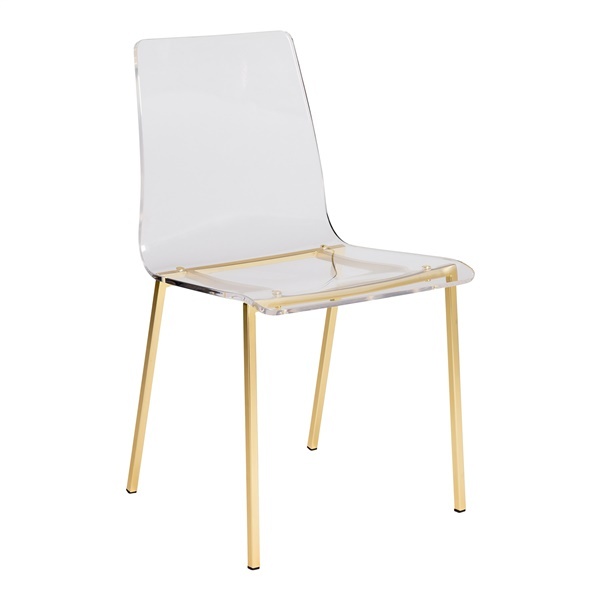 The chair�s base is crafted from chromed steel, which provides durability, stability, and a touch of shine. The seat is crafted from a �-inch thick, one-piece transparent polyurethane shell, which is durable enough to stand the test of time. This chair pairs perfectly with the Chloe Office Chair, for a look that�s polished and put-together.